ASAP Ferg Join Bas On New Single "Boca Raton"
Home>New Songs>Bas Songs> ASAP Ferg Join Bas On New Single "Boca Raton"
Listen to Bas' new single "Boca Raton" featuring A$AP Ferg. It looks like Bas might be getting ready to roll out a new project this Summer. Following the success and conversation surrounding his newly released video for “Pinball II,” the Dreamville rapper decides to come through today and waste little time in sharing a follow up single with ASAP Ferg called “Boca Raton,” which he had been teasing on social media this past week. Named after the city on Florida’s southeastern coast, which is ironically just North of Deerfield Beach where XXXTentacion was murdered on Monday, “Boca Raton” is a warm, Summertime record that finds Ferg & Bas heading down South and rapping about living the good life over production from Sango. “Im out in Boca Raton, sippin’ Roca Patron/ I got this chick on a phone/ Talkin’ bout life and how I just aint right for her, I be inclined to agree” he spits on the hook. Highlighted by its midtempo production & laid back vibe, “Boca Raton” is another strong addition to Bas’ steady growing catalogue of hits. Look for this to presumably see life on his forthcoming album, which is apparently on the way. Take a listen to the new single and let us know what you think. Record available on iTunes. 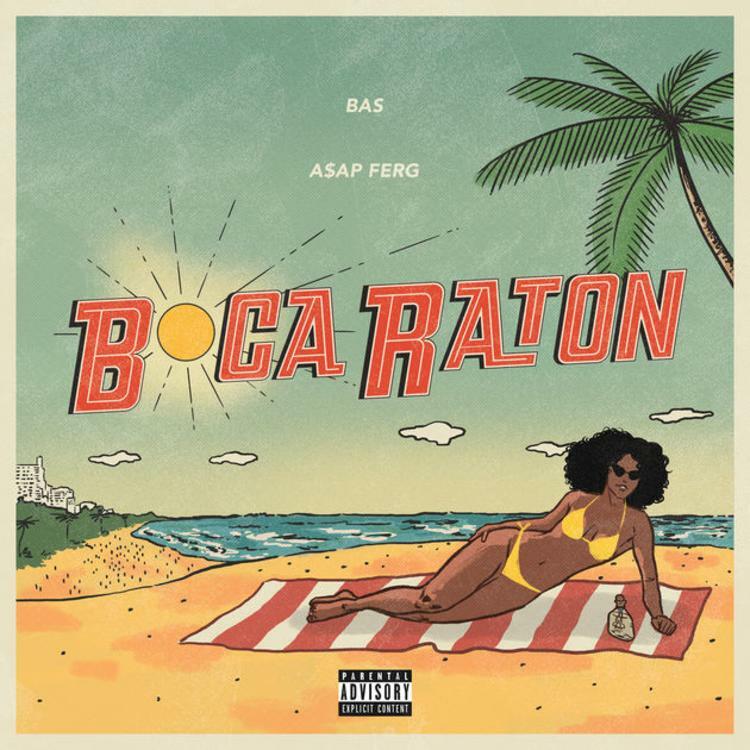 Gunna Pours A Four In His Drink On Da Wrapper's "My Drippin"
SONGS ASAP Ferg Join Bas On New Single "Boca Raton"